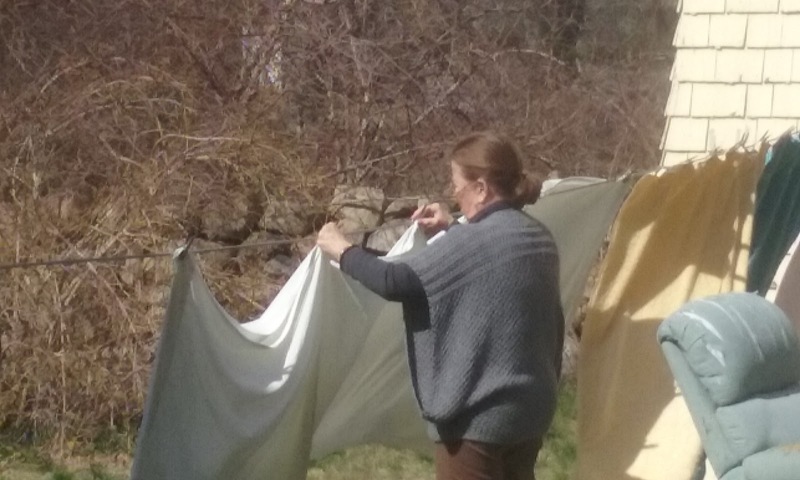 this is my mother-in-law, hanging sheets, one of her favorite pastimes, as she sits for my daughter so i can go teach quilting at the primary school. a doozy of detail. she fusses with the placement of the clothespins, to no end. but the sheets and towels dry, and have the smell on them of this cleansing wind. its amazing. and your picture is a lovely companion to this thought. Aww I love this! My mom loves hanging her sheets on the line too. She's a massage therapist so she washes a lot of sheets. Thanks Leah Noble... the sheets are out there again today!